Impian Heights Condominium is located at Jalan Pipit in Puchong, Selangor. 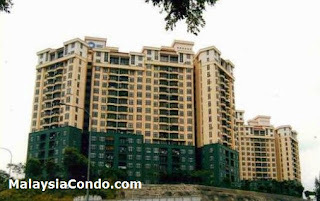 Impian Heights consists two condominium blocks and has a total of 520 units. Each standard unit comes with 3-bedrooms and 2-bathrooms with built-up area from 1,200 sq.ft. to 2,000 sq.ft. Impian Heights also offers ample of facilities and among them are swimming pool, gymnasium, barbecue area, playground, parking space and tennis court. Built-up Area : 1,200 sq.ft. - 2,000 sq.ft.